Barcelona is one of the most stunning, historic, and picturesque cities in all of Europe. It is often seen as the classic romantic city break, where you can peruse a range of incredible artwork and leave a few days later feeling enriched by the experience. There is no doubt that Barcelona lives up to its reputation. The city is beautiful; it does have plenty to offer to tourists; and you should definitely visit. Not many destinations can live up to the hype the way that Barcelona manages. If you have the chance to spend a weekend in Barcelona, here’s a useful suggestion of all the sites and attractions you should be able to fit in. As one would expect from any cosmopolitan city, Barcelona offers a wide range of restaurants serving a huge variety of different cuisines. You can sample traditional Catalan food, with a unique twist on Mediterranean cuisine also available from restaurants unlike any other in the world. If you want fine dining, then look no further than Spoonik; a high-class restaurant that serves a range of different dishes. Located on the Plaça de Lesseps, the restaurant is easy to find and should delight your taste buds like never before. If you would prefer something a little more affordable, then the Bodega Biarritz is a great choice; well-priced tapas is available, nestled in the atmospheric Nou de San Francesc. Any city break will likely require at least two meals out, so if you’re feeling adventurous, you could consider the options above and opt for both! Barcelona is famed for its art. Salvador Dali and Joan Miro called the city home, while the work of Antoni Gaudi can be found throughout the city. Barcelona is art, and you will delighted by all the options available to you. The CaixaForum is perfect for fans of contemporary art, providing a glimpse into a style of art that Barcelona has embraced and pursued. 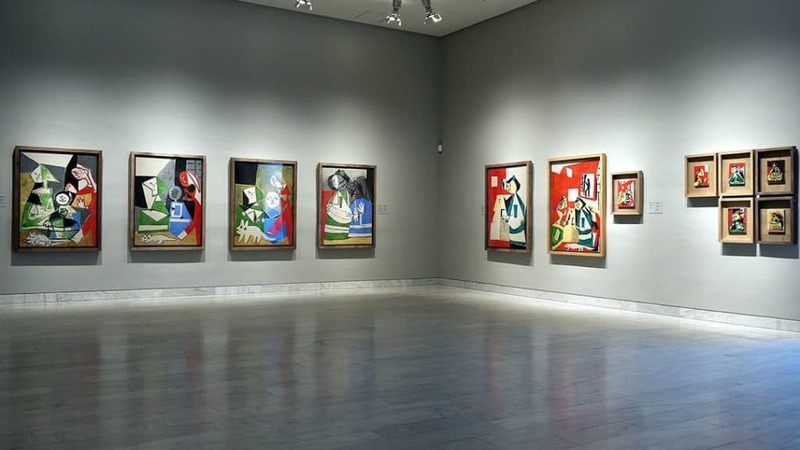 If you would prefer something more traditional, then it’s tough to overlook Barcelona’s most visited gallery: the Museu Picasso, which features a huge collection by one of the most celebrated artists of all time, Pablo Picasso. Finally, a nod to Antoni Gaudi, the driving force behind Barcelona’s beauty. A visit to Gaudi’s most famous work, the Sagrada Família, is an essential for any Barcelona city break– so make sure it’s at the top of your list. Barcelona is a distinct part of Spain, quite different from the rest of the country. The city is the capital of Catalonia, a semi-autonomous region which includes a large separatist movement. Visiting Barcelona is visiting Spain, but it’s also visiting a unique area of the world; one that is fiercely proud of its semi-independence and heritage. As one might expect, Barcelona is packed with cultural exhibits, museums, and galleries. With a city break, you’re likely to be short on time, so focus on Las Ramblas. Las Ramblas is a wonderful warren of shops, eateries, artwork, and so much more. It is over a kilometre long, so you can browse at your leisure. 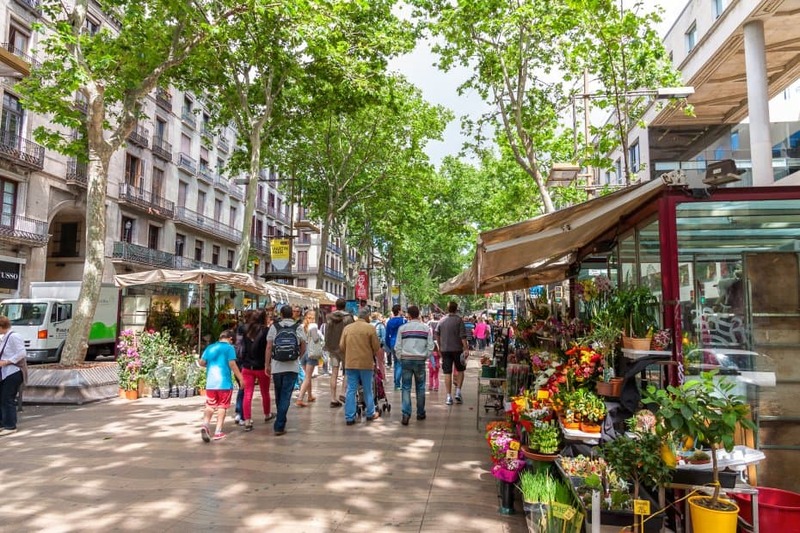 Las Ramblas is the heart of Catalan culture, so you can be sure to experience the unique vibe of Barcelona if you browse through this captivating street. Saturday: Las Rambla. Evening meal at Spoonik. Sunday: the Sagrada Familia, then Museu Picasso, followed by a lively classic Catalan meal at Bodega Biarritz. 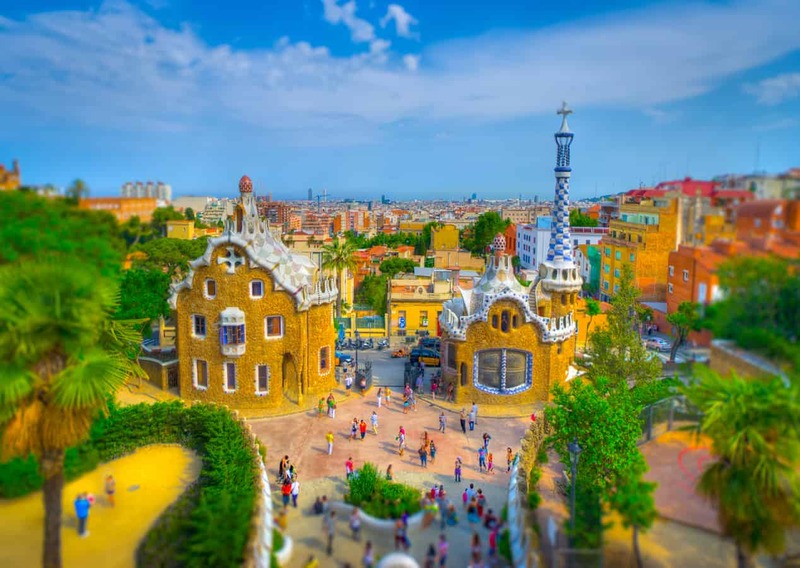 If you were to follow this itinerary, you’d be sure to soak all the different sides of Barcelona; the vibrancy, the artwork; the culture; and the divine cuisine. There’s so much to see in a city of this size, but the above should give a chance to truly soak up the general vibe of the city. With ideas now sparked in your mind about getting the most from your trip, let’s dive into some of the need-to-knows that can help make your trip as simple as possible. Tipping is not essential in Barcelona, as staff tend to be paid a living wage that does not require tips. Of course, tips are always appreciated, and venues in Barcelona tend to accept smaller tips with 10% seen as being perfectly adequate. Hotel porters and drivers can be tipped as and when you see fit, but there is no expectation for you to do so. Getting from Barcelona airport to city centre is a relatively simple. The main airport, Barcelona El-Prat, is located just 16 kilometers to the west of Barcelona, so you can get from airport to hotel usually within around 30 minutes. A taxi is the quickest way of making the journey, but public transportation options are available if you don’t mind the minor inconvenience. Despite its old-age appearance, Barcelona is a modern city that has good transport links. The best way to explore the city is on foot, giving you time to take in Gaudi’s work and explore the shops and restaurants that line the main areas. If you do want to travel across the city, the reliable rail and bus services should serve you well. 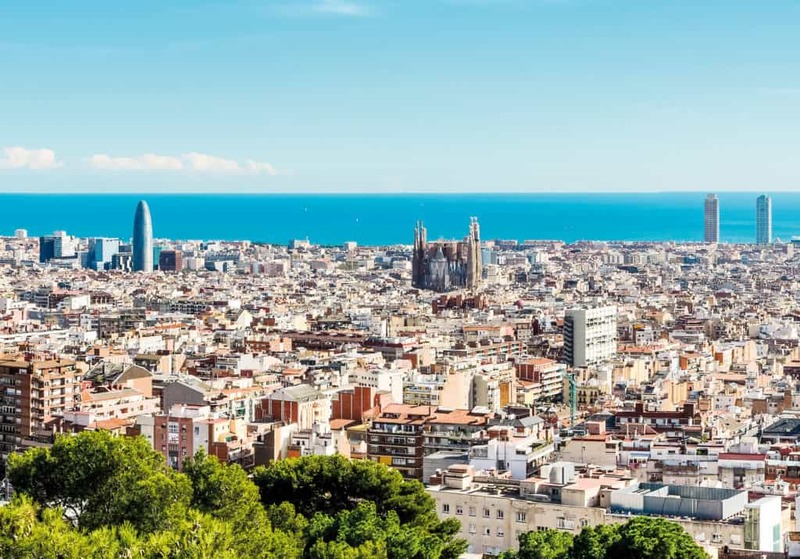 Barcelona has been hitting the headlines in recent months due to the political unrest between the Spanish government and the Catalonian independence movement. Despite this, Barcelona is very much carrying on as normal, so don’t be dissuaded from a vacation– the city is still wonderful, welcoming, and absolutely safe. Barcelona is one of the most talked-about and admired cities in the world– for good reason. The beautiful blend of the old and the new buildings, the sumptuous artwork, the eateries, and the unique culture make for a weekend trip that will forever live in your memory. Barcelona is a welcoming, fascinating city perfect for people who love to explore; so why not consider it the next time you’re planning a weekend vacation? Great, Barcelona is most charming destination to plan family holidays and its things are best ti enjoy here. Great photos you captured of beautiful barcelona. Barcelona looks an amazing place to have adventure, fun, and experience. Thank you so much for awesome blog enjoyed reading this. Your pictures are great!